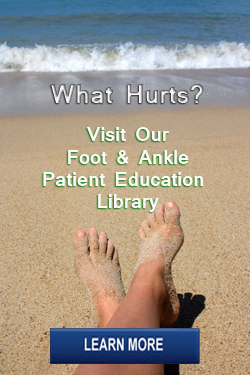 Our podiatrist at CMI offers a full array of podiatric services to help you maintain healthy feet. Dr. Molnar provides patients with the most compassionate and comprehensive treatment while fully educating them about their foot problems and treatment options in a comfortable patient-centered atmosphere. We specialize in the medical and surgical treatment of all conditions. Our doctor maintains hospital privileges at Aiken Regional Medical Center, provides surgical services at the Surgery Center of Aiken, treat patients at area nursing homes and provides a comprehensive list of in office treatments and procedures at our North Augusta, SC and Aiken, SC locations. Our podiatry office utilizes the most advanced diagnostic techniques available for diagnosis of the most complex foot and ankle disorders.